Taking probiotics may provide certain digestive benefits, but if you develop an allergic reaction to the supplement, you may experience unwanted symptoms. As with any allergic reaction, symptoms may range from minor to severe. Before you begin taking probiotics, talk with your doctor to determine the risks and safety involved with probiotic use. If you have known food allergies, use caution because some probiotic supplements may contain milk byproducts. Probiotics are supplements that contain helpful bacteria that area naturally found in your colon. While more research is needed, MayoClinic.com states that probiotics are commonly used to prevent vaginal yeast infections, diarrhea, reduce bladder cancer, treat intestinal infections, prevent eczema in children and prevent and reduce the severity of the common cold. Probiotics are not considered an essential part of your diet, but they may help with gastrointestinal conditions. Certain foods contain probiotics, such as yogurt, miso and some juices. Probiotic supplements are manufactured by various brands, each containing varying ingredients. Not every probiotic supplement is the same. You may find that you develop an allergic reaction to a particular probiotic supplement and not another. An allergic reaction is a mistake made by your immune system. One or more of the ingredients in the probiotic supplement cause your immune system to react as if the body were being attacked by infectious organisms. This confusion causes a chemical release of immunoglobulin E antibodies, histamine and other chemicals, according to the American Academy of Allergy Asthma and Immunology. Allergic reactions can trigger a wide range of symptoms, affecting almost any system in your body. The most common symptoms of an allergic reaction to probiotics, according to Drugs.com include trouble breathing, hives and swelling in your throat, tongue, face or lips. If you develop one or more of these symptoms, call 911 immediately to prevent further complications. Other signs of an allergic reaction may include nasal congestion, nausea, vomiting, diarrhea, lightheadedness, dizziness, chest tightness, coughing and skin rashes. The University of Maryland Medical Center states bloating, gas and upset stomach are common side effects of taking probiotics. If you're lactose intolerant you may develop gas, bloating, diarrhea and stomach cramping. 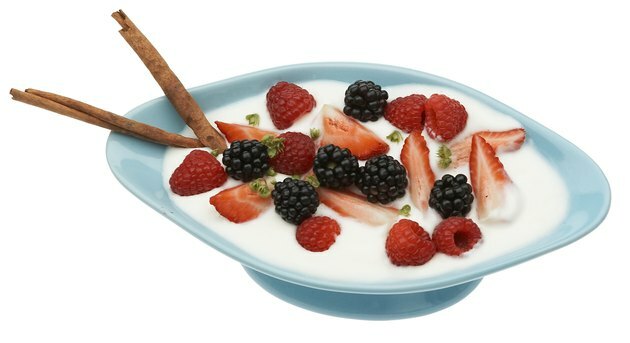 Not all probiotic supplements contain lactose, a sugar found in milk that causes digestive difficulty for many people. Probiotics are not recommended for use by people with weakened immune systems.